Buick GL8 as a model of top MPV, buick GL8 has been praised as the "perfect MPV" by southeast Asian media for its luxurious style, strong power and spacious and comfortable advantages. It has become a concierge vehicle for foreign affairs such as Beijing's bid for the Olympic Games and APEC meetings. Bill Gates, ma youfriend and pavarotti have all been guests. 7 theaters, luxurious theatre both in the domestic first original factory equipped with high-grade car can play CD, VCD, MP3 of the audio broadcast system, on the basis of buick's unique mute tank, to create the effect of buick "mobile video heaven and earth", the "land business class" represented by the MPV's ultimate luxury experience to the extreme. Blessings sun car rental for you to provide includes: business car rental booking, golf rent buick, conference transporting, buick generation driving car rental, exhibition rent buick car rental, hotel, etc., and more rent buick's popular activities. 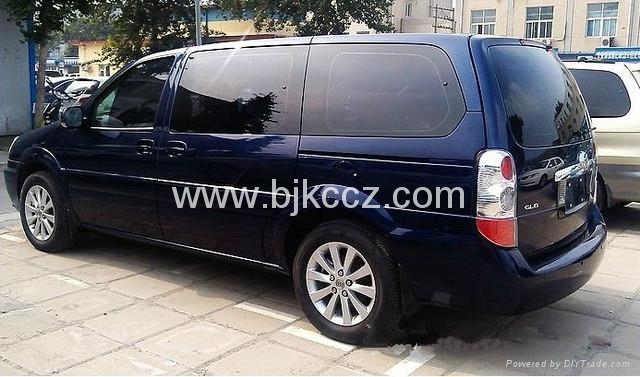 The car of foze car is complete, the driver is more than 5 years driving age, clean and comfortable, safe and reliable, the service is considerate, the price negotiable. Suitable for long distance car rental, tourist business car rental, wedding car rental and other activity vehicles, to save your resources and promote environmental protection. The friends who need can contact at any time, wholeheartedly for your service! There are 28 other cost and 55 buses for long-term cooperation and price discounts!